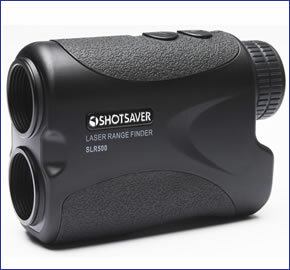 Snooper SLR500 Laser Range Finder will provide you with distances to objects such as bunkers and also distance to the hole too. The distance range is 5 -800yds. This Golf laser device does not require a subscription. This golfing device will is fully waterproof and has a rubberised grip to help you handle the device and target objects with accuracy. 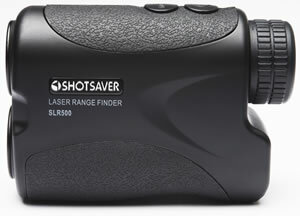 Snooper SLR500 Laser Range Finder has been discontinued. 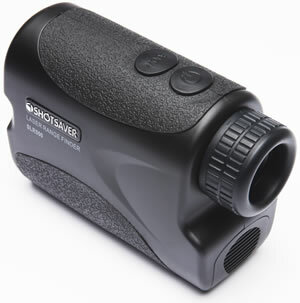 Snooper SLR500 Laser Range Finder will find and display distances on the golf course. This will aid in helping you select the right golf club and make you a more confident golfer knowing the distances to objects and the flag. The Snooper SLR500 has been developed using the highest grade components and works at long range too. Specifically, it will locate distances to the flag up to 350yds away (called 'pole position' flag locator) and it will locate distances to bunkers, trees and bushes up to 800yds away. Distances can also be calculated even when trees and bushes are in close proximity behind it. The golf laser range finder is perfect in damp conditions and a rubberised grip is a non slip surface for your gloved hand and helps ensure accuracy in difficult conditions. You can change the distance measurement mode between yards and metres. You can also check the quality of the signal for measurement to verify the accuracy of the measurement of distance. See the manual for more information. The Snooper Laser Range Finder requires no subscription fees. Magnification is up to 6 times through the lens when you are targeting an object for measurement of distance. The Snooper Golf laser range finder is also waterproof. The range of distance is 5-800yds and the field of view is 7 degrees. There is also a low battery indicator. No PC is required for the operation of this laser golfing range finder device.